Share your favorite memories with friend and family. 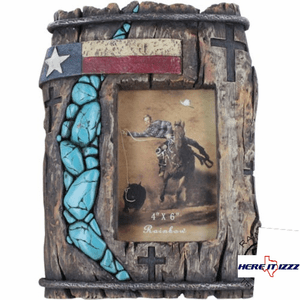 Display photographs in a frame that shows your Christian faith.This Texas frame looks to be bound fence wood and a river of turquoise rocks trickling through. A distinct impression of crossed and a worn Texas Flag.